Professors search Internet for evidence of time travelers, don't find any. The search for time travelers has so far resulted in disappointment. Undergrads may come up with some amusing thesis topics, but when it comes to truly quixotic research agendas, they’ve got nothing on the pros. In a paper pre-published on arXiv, a pair of actual physics professors detail their exhaustive efforts to canvass the Internet for evidence of time travelers. Drs. Robert J. Nemiroff and Teresa Wilson of Michigan Technological University had me at the first line of the abstract: “Time travel has captured the public imagination for much of the past century, but little has been done to actually search for time travelers.” Say, that’s a good point! They go on to explain that they approached the problem by scouring the Web for tweets, Google searches, and other online postings about events—such as a comet or the naming of a new pope—that hadn’t happened yet at the time they were posted. “Given practical verifiability concerns,” the researchers note, “only time travelers from the future were investigated.” That’s understandable: Time travelers from the past presumably wouldn’t have had prescient insights to offer. In May of 2005, then graduate student A. Dorai at MIT publicised and held a convention for time travelers . No one claiming to come from the future showed up . 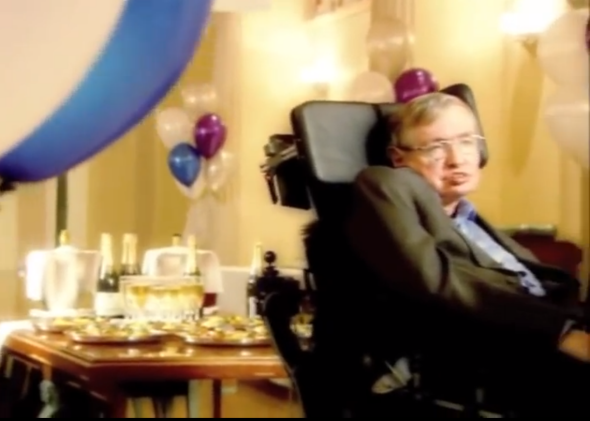 S. Hawking did a similar experiment in July of 2012, holding a personal party for time travelers, but sending out the invitations only after the party . No one claiming to be a time traveler showed up . The full paper is worth reading, particularly the section titled “Types of Time Travelers,” in which the researchers propose an admirably concise, if rather hypothetical, taxonomy of chrononauts. The professors also display a judicious awareness of the perils of false positives in the section detailing their search for prescient Internet queries. They dismiss, for instance, a 2006 Google search for 2009’s “Comet McNaught” as evidence of time travel, noting that McNaught has in fact been discovering various other comets since 1989.